Mango season in Miami is truly a treat, they’re everywhere! You don’t even have to buy them; people offer them to you for free. Hey, we have mangos, want one? I’ve even shown up to work and found a mango on my desk, more than once. No joke! Ah, what to do with all those delicious mangos? 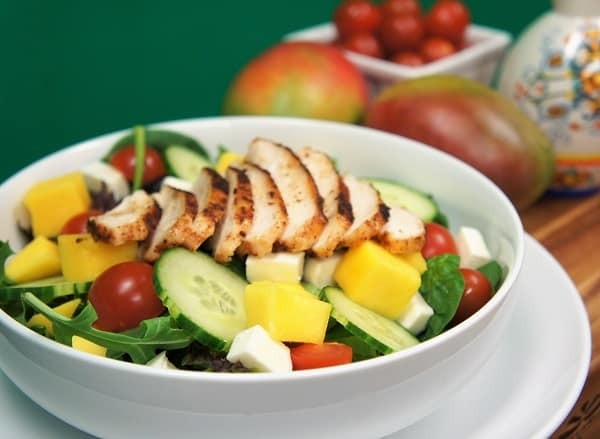 Here’s an idea, make a grilled chicken and mango salad, add fresh mozzarella, cucumbers, tomatoes and top with a balsamic vinaigrette for a wonderful summer salad. Enjoy! In a small bowl combine the chili powder, salt, garlic powder and black pepper, stir to mix well. Sprinkle the prepared seasoning mix evenly on both sides of the chicken, set aside. Grill the chicken breast over medium heat until the internal temperature is at least 165°F. When the chicken is cool enough to handle, cut them into thin slices. Set aside until ready to serve, or refrigerate if you prefer cold chicken on the salad. Divide the salad mix among four plates. Add the diced mango, tomatoes, cucumbers and fresh mozzarella to each generous bed of salad greens. 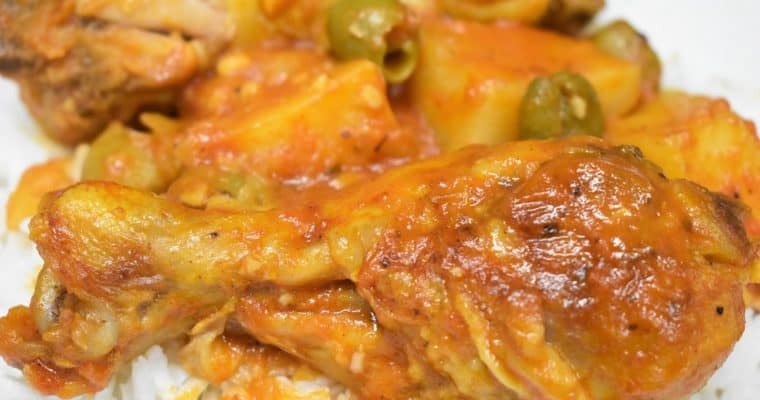 Divide the chicken into four portions – half a chicken breast for each plate. 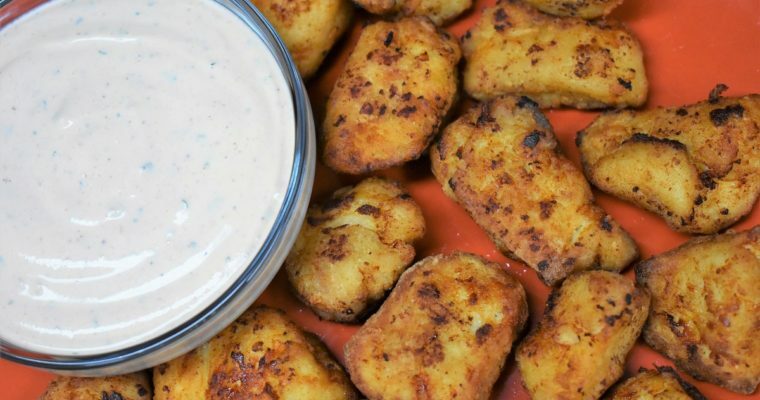 Drizzle each salad with salad dressing, or serve with the dressing on the side. Choose a mango that is not too ripe; it should be rather firm when pressed with a finger – but not hard. If the mango gives when pressed, it will be too juicy, and difficult to cut. It will also be very sweet, competing with the subtle flavor of the mozzarella and the sweetness of the tomatoes. 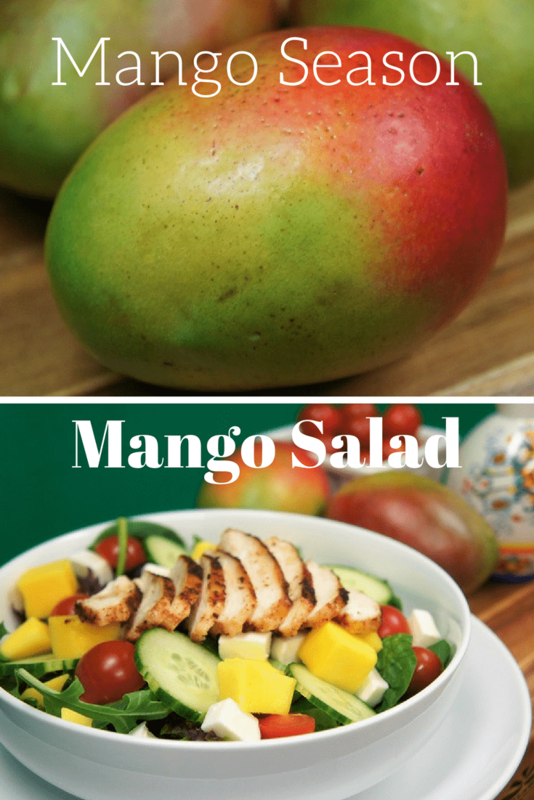 The under-ripe mango will be only slightly sweet and will still provide a wonderful mango flavor in the salad. If you’re using a hothouse (or English) cucumber, peeling and seeding is not necessary. If using a garden cucumber, then you may want to remove most, or all of the peel. Also, slice the cucumber in half and gently remove the seeds with a spoon. Here, we use a hothouse cucumber so we left the peel mostly intact.